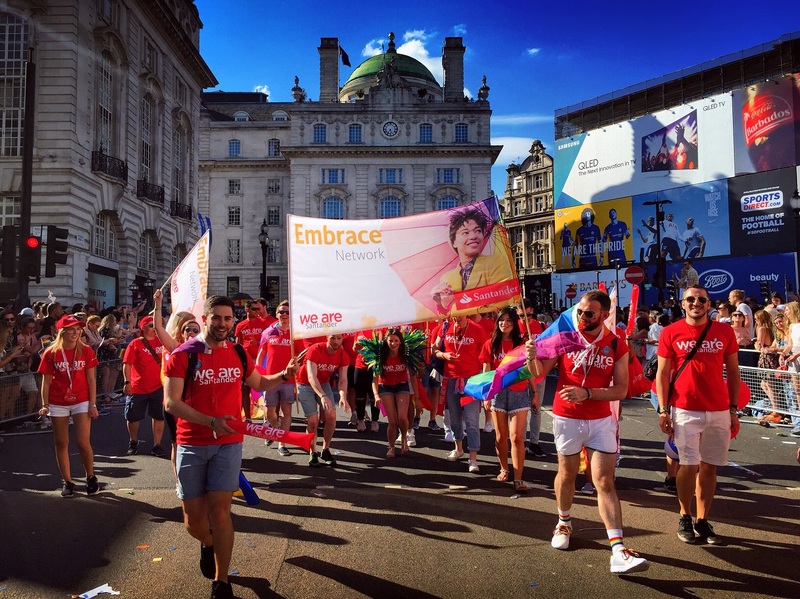 Embrace, Santander UK’s LGBT+ network, is one of the bank's fastest-growing employee networks. In just under a year the network has grown from 400 to more than 2500 members and allies in the UK. The co-chair Darren Kerrison has been a vocal advocate for the LGBT+ community for quite some time. Equipped with the skill set from his day job as an Engagement Consultant combined with his passion for the cause made Darren the perfect fit for leading the network. He said: “My role is about the people and giving them the tools they need to engage. That’s where I see my role within Embrace. Helping people to engage with the bank to help our LGBT+ colleagues. Under the leadership of Darren, and TJ Richards the network’s other co-chair, the network has grown exponentially over the past year. A simple step of introducing Santander rainbow lanyards for colleagues to wear across office sites helped to gain visibility of the network and a visible way of showing support for the LGBT+ community. The visibility of colleagues supporting LGBT+ rights through wearing rainbow lanyards encouraged LGBT+ colleagues to step forward and be visible role models. One of these role models was Tasmin Owens, a transgender colleague who transitioned whilst working at Santander UK, and shared her story via the Santander UK internal employee magazine. Following the visibility of this colleague, Darren was influential in then implementing the bank's gender identity and expression policy. He said: “It was important that we used the momentum to be able to influence the bank. Tasmin was the first member of staff to be on the cover of our in-house magazine. Another colleague that stepped forward as a visible role model was Anish Jalabhay, a 23-year-old Controls Analyst. Anish found support within the Embrace network so that he could come out as a gay man at work. “The embrace network really helped me to feel a sense of belonging in a community with role models like Darren or TJ, who can share their stories, experiences and wisdom,” he said. Since then Anish has become an active member of the London arm of the Embrace network. The engagement in the network helped him to be comfortable at work and open about his sexuality. One of the highlights so far this year for Anish has been his involvement with National Student Pride, which Santander supported as Silver Sponsor. Anish continued: “What a great event, I was so glad to be there because I didn’t have anything like that at my university. Jessica Chu, Santander UK’s Head of Diversity and Inclusion applauds the network and their contribution to the banks' organisational culture. “Embrace is certainly seen as one of our leading employee networks,” she said. "They have a great formula in building the network, and making sure it’s inclusive and everybody gets a say in it – there is a real sense of community. 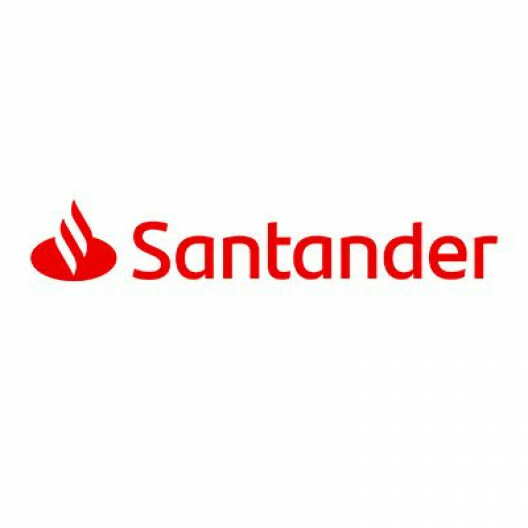 The intersectionality of working with Santander UK’s other employee networks also helps the bank find the best and brightest candidates from lots of different backgrounds. Jessica continued: “I think one of the things we need to make sure is to keep challenging ourselves to get the best talent in from the broadest sense of community. This year, Darren is focussed on continuing to build the Embrace network and said their aim is to reach out to retail colleagues. He said: “Our aim this year is reaching out to our retail colleagues, who are located around the whole of the country in our branches and contact centres. “These are people who might actually need more of a support than our head office staff. So it's important to understand what our retail colleagues need. Timely and excellent information for what is a difficult area for LGBTQ+ folk,namely working in a corporate environment. Hope more companies like Santander up their diversity and awareness game, to meet all the needs of a vast and highly skilled sub strata ,which unfortunatley sometimes goes amiss.